Last night I was invited to the Fox preview night for three new shows. Grandfathered, Grinder, and Scream Queens will premiere next month as part of the networks all new Tuesday night. Two half-hour comedy series, and a comedy/horror mash-up from Ryan Murphy to finish it off. So how does the new night look for Fox? Grandfathered is a comedy about a narcissistic restauranteur (John Stamos) who finds out he’s both a father and a grandfather. I was really happy with Josh Peck, he’s got such great comedic delivery and I’ve missed him since his Drake and Josh days. The pilot moves pretty fast but there are some really funny one liners and the show overall was a hit with the crowd. It definitely is on way to become a super dorky family show though. The cast has pretty nice chemistry and there are some standout supporting characters. The Grinder, the show with the unfortunate name, is actually surprisingly funny. Rob Lowe plays an actor who has portrayed a lawyer on television for eight seasons, while both his father and brother are lawyers in real life. While in town for a visit, Lowe decides he knows enough from the show to be a lawyer outside of Hollywood. Fred Savage is hilarious as an insecure lawyer and father who doesn’t have much faith in his big bro. Some of the most hysterical moments were when Lowe’s character uses his tv tricks to help him out in court. He references his show and uses punchlines, props and is overdramatic. Everything you see on an episode of Law & Order. It’s sort of the way we all see courtroom drama and how we feel we could solve a case as easily as they do. 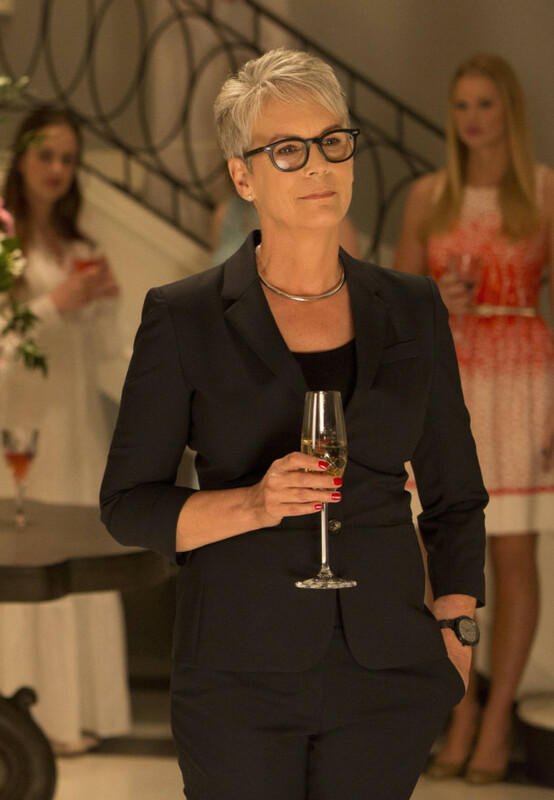 Scream Queens was a show I was really excited for when I heard Jamie Lee Curtis would be in it. After the first trailer was released, my excitement dwindled. Except I still didn’t assume it was going to be as bad as it was. As a horror fan, and a pretty forgiving pilot-watcher, I was shocked by how much I disliked this. The beginning scene is the absolute worst thing I’ve seen. I get Ryan Murphy wanted the show to be cheesy and overdramatic, at least I hope, but this falls flat. A girl gives birth in the sorority bathroom in 1995 because she didn’t know she was pregnant. All her sisters couldn’t care less because “Waterfalls” by TLC starts playing at the party. She ends up dying. Then we jump to 2015. Emma Roberts plays a bitchy sorority president at the same house. Roberts has great delivery, especially given that her lines are very lengthy and tongue-twisty. However, there’s a punchline or joke every single line of dialogue and it gets tiring. There were probably only a handful of times I, or anyone, really laughed. There are ridiculous jokes about race, ethnicity, weight, lesbians and so on. Actually, there are a lot of uncomfortable and unnecessary jokes about race. Sad to say even Curtis couldn’t save this show. Her scenes were awkward. Supporting characters were awkward. Nasim Pedrad’s character makes absolutely no sense and comes off as a rejected SNL skit. Keke Palmer is the funniest part to the show, but that’s just because of her delivery. The only thing this show has going for it is celebrity – a well known creator and a recognizable cast. Every scene was torture to watch. There were at several groups who walked out by midpoint of the episode. Thanks for the popcorn though! You are seriously the first reviewer I have seen who didn’t like it. I feel like people have some strange thing with Ryan Murphy that they can’t say anything bad about his work. It was pretty bad and completely lost the entire audience after that first scene. Everyone clapped for the first two comedies. 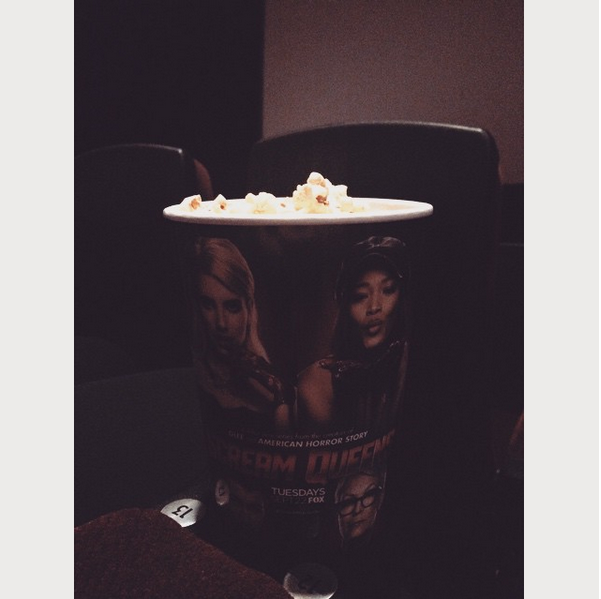 No one clapped for Scream Queens.